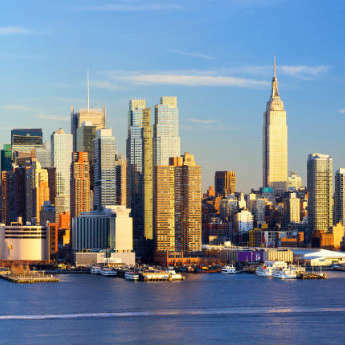 New York’s skyline – a glittering, majestic collection of skyscrapers that are famous all around the world. 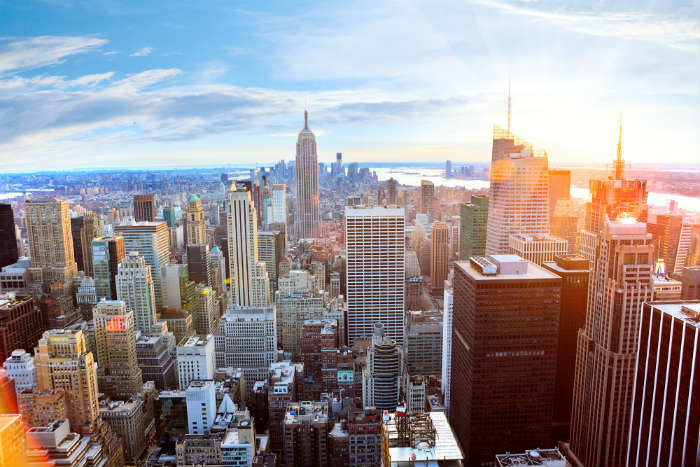 Home to iconic buildings such as the Empire State Building and One World Trade Centre, it’s almost impossible not to see the skyline at some point on your holiday. 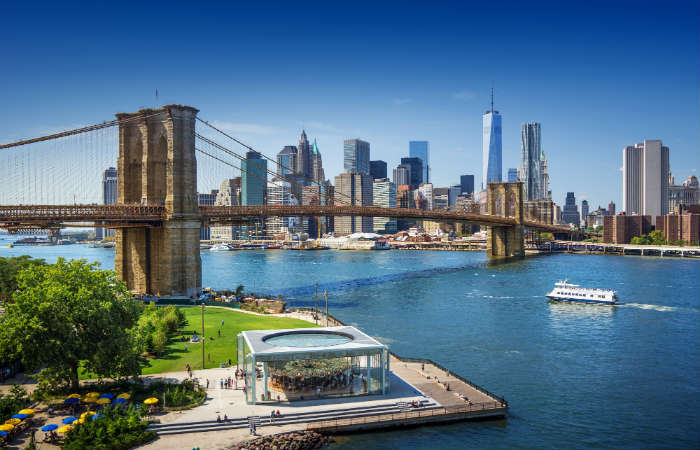 Here’s a rundown of the best places to see New York’s skyline and where you can take in that legendary view. For a view to remember, head straight to the Top of The Rock at the Rockefeller Centre. 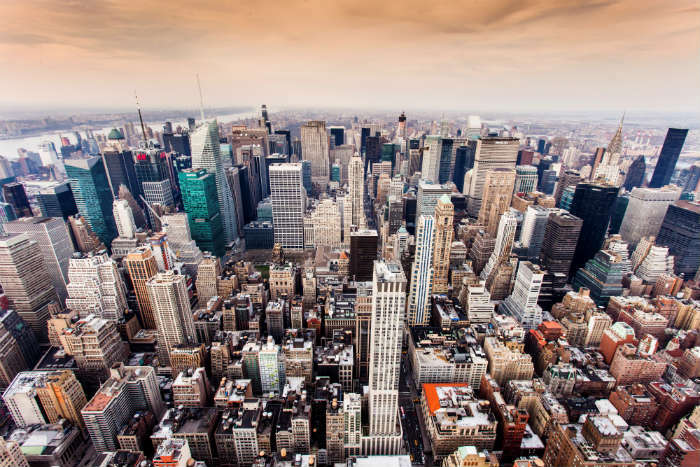 Shoot straight up to the 67th floor in less than 1 minute via the Sky Shuttle – a glass roofed elevator – and step out to see spectacular 360 degree views of the Big Apple. It’s a great opportunity to get that photo of the Empire State Building with Manhattan in the background, your friends will be green with envy! There’s not many cities where you can get things for free. 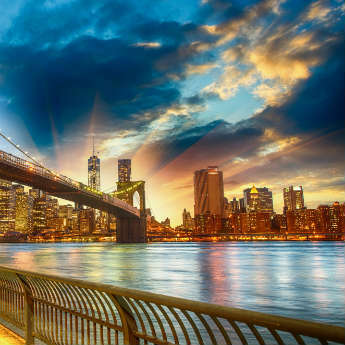 In New York though, take a walk across Brooklyn Bridge and you don’t have to spend a single dollar to see one of the most spectacular sights in the world – the skyline of New York City. It takes around 45 minutes to walk the complete length of the bridge so there’s plenty of time to soak up the view! Another place to take in New York’s skyline is from the Staten Island Ferry. 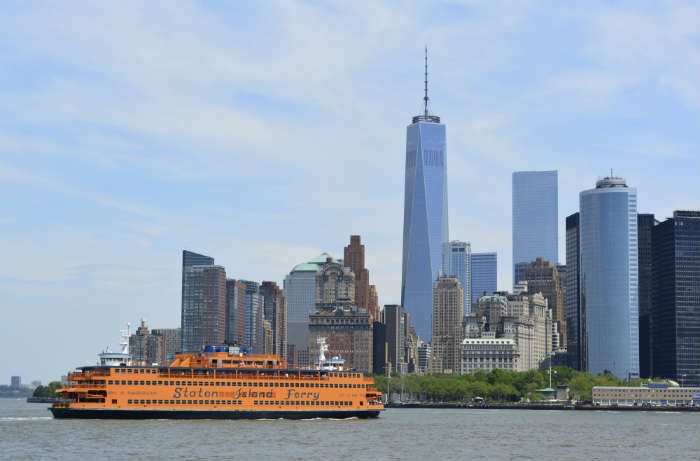 This free cruise is mainly a commuter ferry but hop on during the day and you’ll find yourself gazing at uninterrupted views of Manhattan’s skyline from the Hudson River. This trip also has the added bonus of sailing past the Statue of Liberty so really, you get two views in one! 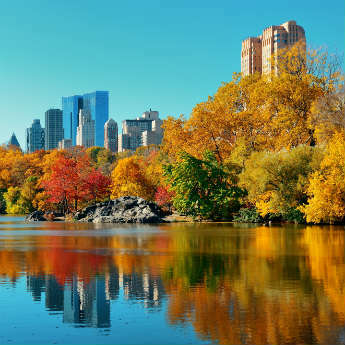 Although some of New York’s skyline is covered by the gorgeous trees in Central Park, it’s still a great place to feel surrounded by the tall skyscrapers of New York’s skyline. 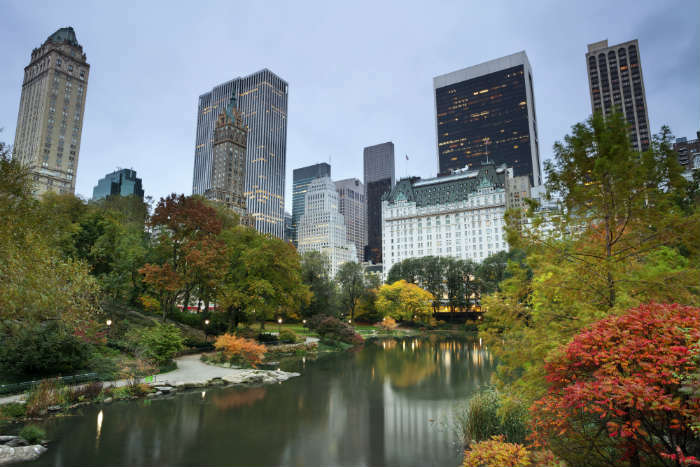 If the weather’s nice, grab some food, take a picnic and chill out on the grass while gazing up at the skyline and see if you can spot famous buildings such as the Rockefeller Centre. 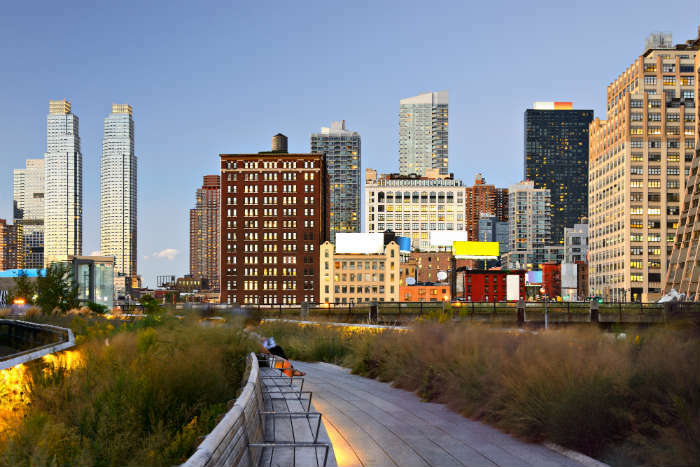 To go through New York’s skyline rather than viewing it from afar, take a walk on the High Line. Skyscrapers and high rise buildings will tower above you as you wander through the Meatpacking and Chelsea districts on this disused rail track. You’ll soon find out New York isn’t all concrete jungle as this walk is surrounded by lush greenery and cool street art! It wouldn’t be a trip to New York without going up the Empire State Building. It’s the highest observation deck in New York – the main observation deck being on the 86th floor - so you’re guaranteed to get a good view! See if you can spot the Statue of Liberty and snap some pictures of New York’s skyline from the top of this iconic building.